Oil prices have hit $143 a barrel and there appears to be little let-up as traders push the energy commodity to record highs, almost on a daily basis. At the same time the US dollar is hovering near record lows against a line of major currencies with markets continuously seeking to send the US currency lower. Commodity traders jump on any reason, no matter how minute, to send crude prices higher. The subsequent rise in oil prices is then taken as a vote of no confidence in the dollar and the greenback duly obliges, going lower in value. This would not be so bad were the related moves in some way proportionate, but the reality is that since last summer every 1% fall in the US dollar index has corresponded to a massively disproportionate 10% rise in the price of crude. Of course there are other factors driving crude prices, but it is no coincidence that oil prices began scaling the current spike around the same time the US Federal Reserve embarked upon an aggressive rate cutting campaign, a policy move that caused the US dollar to nosedive. Oil prices have reached such an alarming level that they are now having a damaging effect on global stock markets (inflated energy costs are eating into disposable income and drying up consumption demand for other products and services). 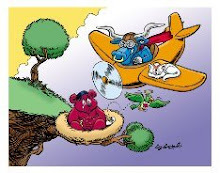 US and European bourses are today officially in bear markets (the major indices having lost 20% from the peaks achieved within the past 9 months). As investors scramble for returns outside of equities, we are seeing some major fundamental disconnects in currency markets, something which has been amplified in recent weeks. 1) A rise in risk aversion no longer translates into liquidation of carry trades. If one glances at the major carry pairs – EUR/JPY, AUD/JPY and NZD/JPY, one will notice that even in a situation where equity markets have plummeted over the past month, these carry pairs have in fact gone higher. The reason for this is twofold: a) while stocks have retreated, commodity prices have gone up and commodity currencies like the Aussie and Kiwi dollars have been well bid and b) Volatility levels as measured by the VIX indicator have remained low, even while stocks were selling off at a record pace in June. This is encouraging risk takers to keep selling the yen against higher yielding currencies. 2) Weak economic data is not weakening a currency in the current market. A case in point here is sterling, which has appreciated against every other major currency over the past 2 weeks, despite some dire economic releases from the UK which point to an ailing economy on the brink of recession. The euro has also been appreciating against a backdrop of softening economic data. Why? The Central Banks in the euro area and the UK have highlighted that they are more concerned about rising inflation trends than slowing growth conditions. The ECB is expected to raise interest rates this week at a time when the euro zone economy is slowing rather sharply, while the Bank of England has hinted the next move by the MPC is more likely to be a rate hike rather than a rate cut (markets had been expecting further cuts given the economic downturn). For the immediate term investors are more interested in higher yield, not growth prospects, and the comfort of higher interest rates is attracting their money. This of course is having a damaging effect on the dollar, with the Fed less concerned about rising inflation than the ECB and Bank of England, even though headline inflation is running higher in the US than in the euro area or in the UK. This disconnect of course cannot last. Eventually markets will reach breaking point, which will happen when there is clear evidence of demand destruction for crude oil, or when spiralling energy inflation sparks some form of direct market intervention, or when the Fed is forced to hike US interest rates before they would like to do so. It may be premature to start expecting conciliatory tones from an ultra-hawkish ECB. This disconnect situation does throw up some interesting medium term value trades in currency markets. The one that currently jumps out is GBP/USD, which is on offer to sell today just below the 2.00 mark. The UK economic situation is fast developing into a crisis and it is difficult to see how sterling can hold its elevated market position, regardless of what reality disconnect appears to be gripping the Bank of England. The euro also looks to have been on an extended honeymoon, although the ECB still holds considerable street cred with traders and Trichet & Co. cannot be dismissed as lightly as a Bank of England which is less than consistent in its policy approach. Eurozone inflation has surprised on the upside, with the flash estimate for June coming in at an annualised 4.0% rate, against 3.7% in May and a forecast 3.9%. Whatever doubts may have existed about the ECB’s intentions this week have all but vanished and the Governing Council seems certain to raise rates to 4.25% when they meet on Thursday next. Opposition to the move has been mooted and the question now is not a case of whether the ECB will raise rates this week, but rather a case of whether this week’s rise will be the start in a new series of rate rises. The ECB has backed itself into a corner and markets have priced in a further rate hike by September with some analysts now expecting up to 3 rate hikes by the end of the year. Normally this would be very bullish for the currency and indeed the run-up in the euro over the past few weeks has paid testament to this. However we are now looking at a situation where the ECB will be raising interest rates at a time when there is zero or negative growth in the euro zone. An increase in interest rates will serve to expedite the economic slowdown and could potentially derail the euro later in the year. In the short-run this prospect is unlikely to deter traders, whom will want to challenge the 1.6016 high this week. The dollar is being driven by commodity prices, which in turn are influenced by the EUR/USD exchange rate, so with yield differentials set to widen, the immediate outlook for the dollar is not bright. There are a few caveats though, most notably the PMIs out of the euro area on Tuesday and Thursday Vs the US data counterparts. Also, we are dangerously close to further vocal market intervention, as spiralling oil costs sends global stocks plunging and further pits the US economy into recession. Monday sees the end of quarter 2 and some profit-taking is likely to stall the euro’s advance today, but it will continue to be bought on dips in the run-up to Thursday’s ECB. Friday’s US non-farm payroll is unlikely to play a major role in influencing currencies this week, even if we do witness some short-term volatility, because US Fed policy looks set to remain on hold for the foreseeable future. Key resistance on the upside is at 1.5840 and if that gives way, it will leave the way open for euro bulls to push to the illustrious 1.60 price mark. EUR/USD is trading at an uncomfortably high level around 1.58, yet the current risks look to be to the upside and the wise option may be to avoid the pair altogether until after the ECB on Thursday. UK mortgage approvals and mortgage lending figures fell to record lows in May, while consumer confidence has sunk to a 16 year low in June against a backdrop of falling house prices and runaway energy costs. Normally such damning data would be sufficient to send sterling packing for a couple of cents against the dollar and over half a penny against the euro, but sterling has found some back teeth in the past week and the UK currency is virtually unchanged on Monday, holding onto the significant gains it made last week against the greenback. There are a few possible reasons for this new-found resilience, one being that we are at the end of the second quarter and profit-taking has led to a liquidation of a large volume of sterling shorts, thus propelling sterling artificially higher. If this is the real reason, then expect sterling to decline, possibly sharply, from Tuesday, as we enter quarter 3. Another plausible reason is the resurgent appetite for high yielding currencies as investors are hedging against a climate of rising inflation and retreating equity values. Sterling is competing again on yield grounds as markets have written off any prospect of rate cuts from the Bank of England this year. The medium to longer term outlook for sterling remains grim however because larger funds are unlikely to want to channel long play funds into a currency where the economy is pretty much tanking. If the CIPS manufacturing and services indices, due out on Tuesday and Thursday, report a contraction in the respective sectors for June, expect sterling’s recent revival to hit a wall. We need to see cable fall below 1.98 to sell the pair again, because while price remains above this support level, bias remains to the upside. The euro could take a run at 80 pence this week against the UK currency, given an expected widening in the rate differentials. Short sterling positions on EUR/GBP could begin to stack up again from Tuesday. The yen has been dragged and pulled across the currency markets Monday, first pushing the dollar below Y105 during the morning, only to see the dollar rebound to over Y106 in the afternoon. The euro too has recovered from a low of Y166.08 in the morning to retake the Y167 price handle. Risk aversion, prominent during the Asian session, has given way to complacency as short-term players look for yield and are snapping up USD/JPY and EUR/JPY on dips. Tonight sees the release of the Bank of Japan’s quarterly Tankan Survey, one of the few indicators out of Japan that can really influence the currency market. Thanks to a Reuters slip last Friday, when the news agency inadvertently and prematurely broadcast the quarterly Tankan report results, the market already knows the survey reveals increasing pessimism about the economy and it will help cement the view that the Bank of Japan will not be in a position to start raising interest rates any time soon. The yen is not going to be able to undertake any sustained rally unless we witness a structural breakdown in EUR/JPY. That seems unlikely in the coming days with the rate differential set to widen in favour of the euro on Thursday, so the value trade remains being long on USD/JPY, particularly on dips towards Y105. There is a chance that risk aversion levels could rocket during the week, if the ECB rate announcement has an impact of destabilising the dollar and sending oil prices soaring to even higher record levels. The loonie has had a bad day at the office Monday even though GDP was reported to have risen by 0.4% in April, following a contraction over the previous 3 months. The greenback has benefited from profit-taking at the end of the quarter which has seen commodity currencies pare some of the recent gains, and this has hurt the loonie. But it is difficult to see the USD/CAD moving outside of the recent 0.9920 to 103.20 price range anytime soon and the greenback will come under selling pressure on any gains beyond 102.50. In fact Tuesday could witness a sharp reversal in the pair’s direction, if Monday’s greenback rally is nothing more than a profit-taking exercise, which seems likely. Traders should use the opportunity to exit previously stranded USD/CAD longs, rather than use it as an invitation to start going long on the US dollar. Tuesday is a holiday in Canada and this week sees a very light calendar with Friday’s IVEY PMI the only other release of note. Oil prices will continue to be an important influencing factor for the loonie and expect USD/CAD to trade between 1.0050 and 1.0250, with the risk of a breakout to the downside, if the ECB this week helps oil prices to surge. The euro offers no value against the loonie at present values (>1.60), but it is best to wait until after Thursday, before making a decision to enter the market on this trade.